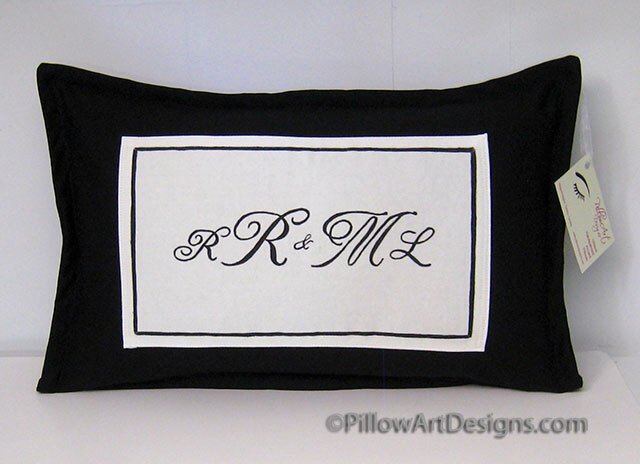 Elegant, chic personalized black and chalk white accent pillow, handpainted with initials or name per your request, in your choice of font. 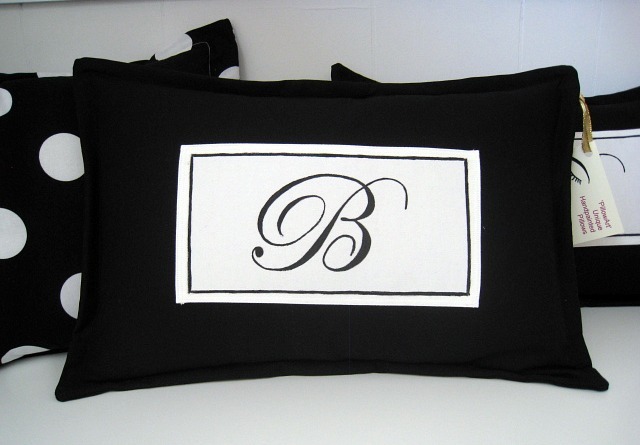 Sample shown features initials in script, framed in black. This pillow makes a wonderful personalized gift for any occasion, including housewarming, wedding or graduation gift. Also perfect as wedding decor. 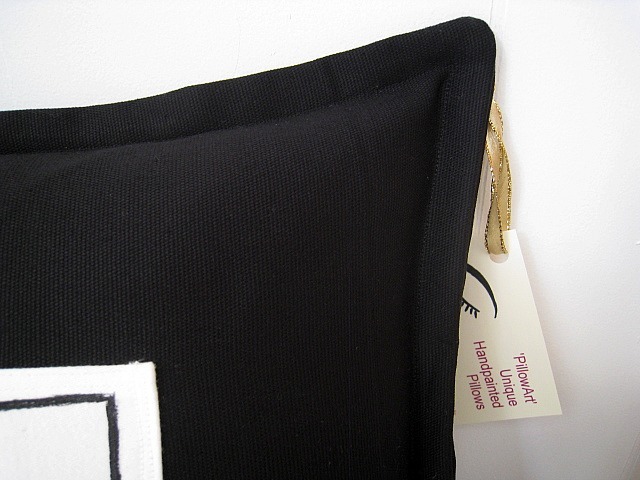 Edges are sewn down to create a small flange, adding a tailored look to this pillow. Down feather insert included measures 12 X 18 inches. Pillow cover is also available without down feather insert, please contact me for price details. 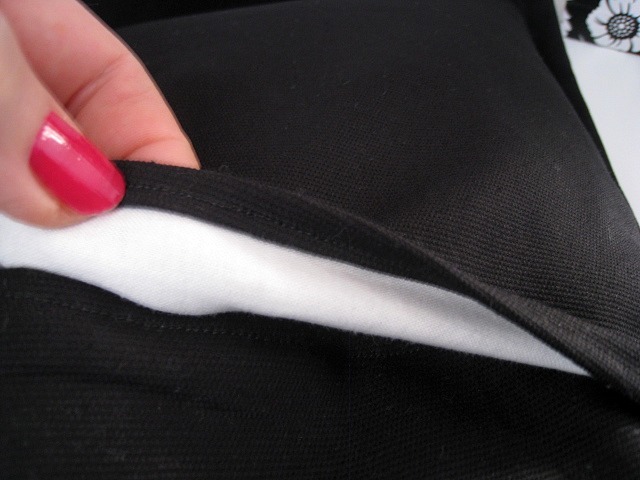 Fully lined, envelope closure, spot clean recommended to keep colours separate and true for years to come. Contact me here at the site with your order details.